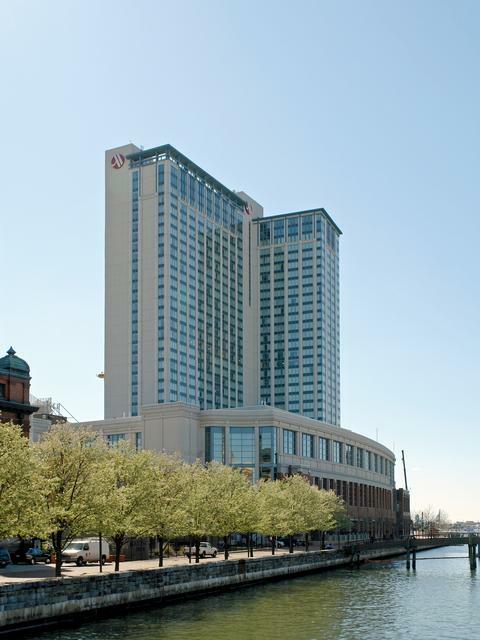 A $5 million renovation project underway at the Baltimore Marriott Waterfront Hotel will completely remake the hotel’s more than 750 rooms as supply in the local hospitality market continues to grow. The project will entail a complete gutting of the rooms, “wall to wall, top to bottom,” said Julie Codus, director of sales and marketing for the hotel at 700 Aliceanna St. in Harbor East. Renovated rooms will have new furnishings, new door locks with smart access entry and new smart TVs that will allow guests to log in to their video streaming accounts, such as Netflix and Hulu. Three-quarters of the rooms will also be outfitted with a new, stand-up shower, in line with trends that show most hotel guests prefer taking a shower over a bath, Codus said. The remaining quarter of rooms will keep their bath tubs intact. Renovations began a few weeks ago and are slated to be complete in April. Construction work will proceed floor-by-floor, with about 30 rooms taken out of service at a time. The last round of renovations to the Marriott Waterfront were in 2009.